Visit in Person or Order Away! True to its name, Jewel’s is a bakery and cafe based on the idea that everyone should enjoy cupcakes and baked goods regardless of dietary restrictions. Even the cafe offers vegan and dairy-free alternatives (including dairy-free milk options). Gluten Free Creations is a bakery and cafe that specializes in gluten free breads, pizza crusts, cookies, cakes and more. 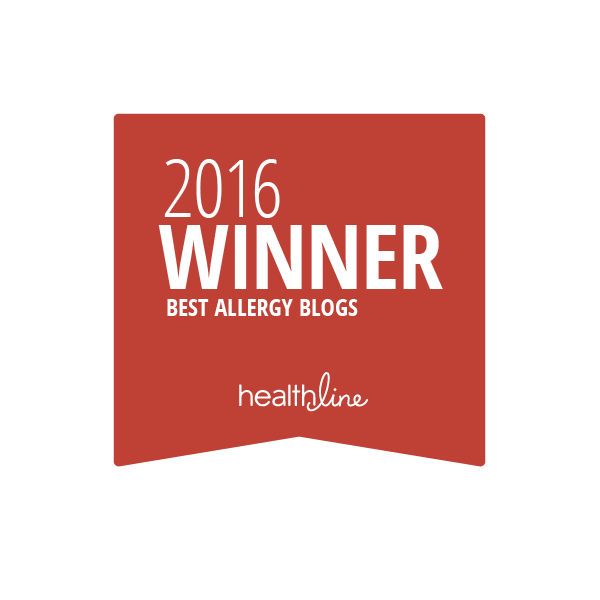 They label each of their products clearly on their website and appear to be knowledgeable about other allergens as well. 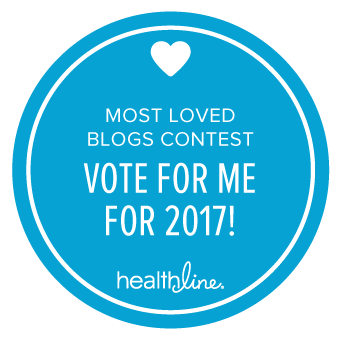 When our family discovered our food sensitivities and limits I worked hard to replace the things we love with safe foods. And find safe foods they did. Cookies, cupcakes, breads, pies, cakes and pizza. They serve it all in their 100% gluten-free, soy and nut-free kitchen. Free from: Gluten, Peanuts, Tree Nuts, Soy. Some Egg and Dairy-free. Breakaway Bakery, in Los Angeles, bakes with all organic, non-GMO ingredients. In addition to muffins, cookies, and brownies, Breakaway also offers frozen batter dough so you can make your favorite Breakaway treats at home! 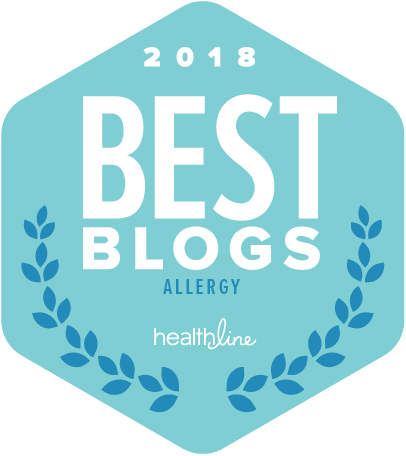 We focus on the underserved— people with gluten, dairy, egg, and soy sensitivities, the health-minded, and, most importantly, allergic kids who are often unable to indulge. Shops in NY, LA and Orlando! Free from: Gluten, Wheat, Soy, Dairy and Eggs. Vegan, Kosher. Our allergy friendly treats promise to be the super-yummiest found anywhere. This is healthy eating at its most flavorful, most natural, and if we may say so, it’s most decadent. Products include pies, graham crackers, cookie dough, s’more’s kits, among others. Available in a variety of retail locations. Free from: Gluten, Wheat, Egg, Dairy, Nuts, some Soy. Derived from a co-owner’s allergies and sensitivities to wheat, gluten, and dairy, Pushkin’s Bakery and its products are the result of its dedication to create wholesome and delicious all-natural baked goods all while excluding wheat, gluten, and dairy. With interesting and mouth-watering flavors, Rachel’s Cake specializes in tiered cakes, wedding cakes, cupcakes, cookies, cake pops and jar cakes. Free from: Peanuts, Tree Nuts. Specializing in custom cupcakes, made from scratch. All cupcakes are free from nuts and some are gluten-free. All Starry Lane Bakery products are made on-site in a dedicated facility that is free of gluten, soy, dairy, eggs, tree nuts, peanuts, fish, and shellfish, as well as being vegan and free of all artificial food dyes. Chocolaty and gooey, or sweet and crispy, the simple pleasure of a fresh baked cookie is an experience that everyone should be able to enjoy. Free from: Peanut, Tree Nuts, Egg, Dairy. Baked by a family living with celiac disease as well as multiple food allergies, this bakery value food transparency, and believe everyone deserves inclusion. Allergen-free Bakes specializes in delicious baked goods that don’t taste or feel like they’re lacking anything. Everyone deserves high-quality treats, and we fully support indulgence! 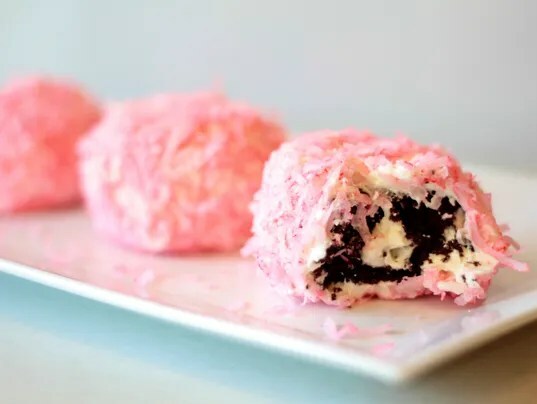 Specializing in baking the most delicious, allergen free treats imaginable…this bakery creates gluten, dairy, egg, nut and soy and GMO-free Whoopie Pies and Whoopie Pie cakes. Check them out – they look AMAZING. Each ingredient used is hand selected to ensure the most organic items for colors, flavors, and more. The Cookie Workshop is a nut-free cookie and cupcake bakery. We take orders of cookie platters (12-24 cookies) and cupcakes (by the dozen). Each order is custom-made onsite using a variety of fun themes. We also allow you to have your own baking experience by making and decorating cookies yourself. This can be done by stopping by or by scheduling a party with your friends. Our products are made-from-scratch with no added preservatives. Dee’s One Smart Cookie is the only non-GMO bakery in New England that is devoted 100% to the production of gluten free, dairy free, tree nut free, peanut free and soy free products! Serving cakes, cupcakes, and breads made by a chef with celiac disease. Free from: Gluten, Dairy, Tree Nuts, Peanuts, and Soy. We understand the importance of this matter and vow to keep our products and facility 100% peanut and nut free. We maintain a complete list of all the ingredients used in our bakery. Our goal is to provide a dessert that is not only delicious, but safe for those with nut allergies as well. Offering cakes, cake pops, cupcakes, pies, cookies as well as other special treats. A dedicatedly gluten-free and nut-free bakery that offers everything from cookies, to brownies, cupcakes to cakes and more. Some products can even be made dairy and egg-free (vegan)! Free from: Gluten, Nuts, Sesame Seeds, Coconut, Chickpeas. Sometimes Dairy, Egg, Soy. Led by a former attorney turned home baker, Cole’s Moveable Feast serves the Northern Virginia area. They offer custom cakes, cupcakes, cookies, seasonal breads, pastries, and pies baked to order without dairy, egg, nuts, gluten and/or any other allergens you specify. Using custom gluten-free flour lends and egg substitutes, their biggest sellers are cakes and cupcakes made without gluten, nuts, dairy or egg, but they can accommodate nearly any allergen (including soy and corn). The Kosher Pastry Oven is the Greater Washington area’s premier full service kosher bakery, café, dinner, & special events catering establishment. This family run business has offers non-dairy (Pareve) desserts that are created in-house by a master French Pastry Chef, and include everything from wedding cakes to individual and unique tarts. Free from: Dairy. Kosher, Pareve. Run by two bakers with celiac disease, all of our products are made in a dedicated gluten-free & vegan facility. Cinnamon rolls, cakes, cupcakes, donuts and more. Free from: Gluten, dairy, egg, soy, peanuts, and tree nuts (excluding coconut). Vegan. A family team offering cakes, pies, donuts, cupcakes, empanadas and more. With two locations in Plantation and Boca Raton. Free from: Dairy, Eggs. Vegan. Offering baked goods and desserts including muffins, cupcakes, cookies, pizza crust, Stacy’s products and facility are free from gluten, dairy, eggs, soy, peanuts, and tree nuts. Many products are additionally corn and garbanzo-free, some dye and sugar-free. Able to customize cakes and baked goods for any allergen. Free from: Gluten, Dairy, Eggs, Soy, Peanuts and Tree Nuts. Vegan, Vegetarian. I created Gluten Free Cutie Bakery especially for children with food allergies to have a safe place to come and experience the joys of picking out a special treat. Offering cakes, cupcakes, cookies and cakepops, this bakery can make food allergy-friendly cakes upon request. We bake all of our custom Celebration Cakes, Cupcakes, Whoopie Pies and Cookies from scratch in a nut FREE environment with carefully sourced, nut FREE ingredients. Free from: Peanuts, Tree Nuts, some Egg and Dairy. A family owned and operated bakery that is 100% peanut-free and tree nut-free. Best known for their cupcakes! Sweet Ali’s Gluten-Free Bakery offers delicious gluten-free products with no preservatives. A certified gluten-free bakery, Sweet Ali’s offers a variety of delectable sweet, savory, and special occasion baked goods. Sweet Ali’s also offers dairy-free and other allergen-free options. Free from: Gluten; sometimes Dairy and other Allergens. Sweet Natalie’s is a dedicated gluten free bakery located right in the midst of the historic downtown shopping area in Geneva, IL. 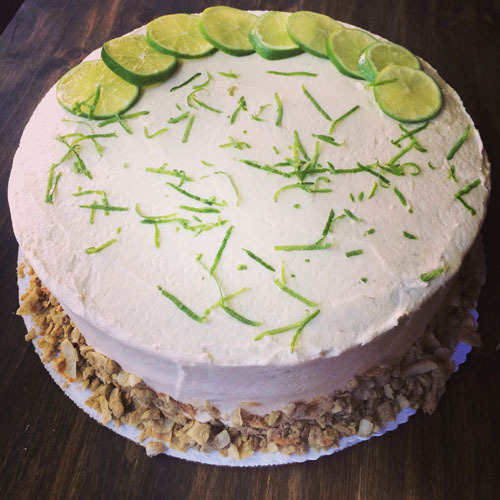 Our specialty bakery offers a variety of gluten free, dairy free, vegan, Paleo and naturally sweetened desserts. Annie May’s Sweet Cafe understands the difficulties of living with food allergies. They believe all people are create equal and therefore deserve all the delicious treats life has to offer! All bakery items are gluten, nut and soy-free. Almost all recipes can be customized to accommodate your allergies! Free from: Gluten, Nuts, Soy; some Dairy, Eggs. A full service bakery offering gluten free products, vegan options and some dairy free, sugar free as well.Located 6 water street Bangor Maine. We ship. Free from: Gluten; sometimes Dairy, Egg, Vegan, Sugar, Dye, and Soy. NOT nut-free. Breadsmith of Potomac, winner of Bethesda Magazine’s “Best Challah” award, serves a wide array of delicious artisan breads and sweets. We make each loaf from scratch using only the finest ingredients, working through the night to prepare freshly baked breads and sweets for you each morning. Each loaf is shaped by hand in a peanut and nut free environment and baked in a five-ton European hearth stone oven. Blacker’s Bakeshop is a Kosher/Pareve (dairy free) and nut-free bakery with vegan options located in Newton, Massachusetts. Cakes for Occasions is a nut-free, boutique-style gourmet cake and pastry shop where creativity and passion is the recipe for our products. Half Baked is a café, donut shop, and bakery located in Beverly Farms, Massachusetts that serves breakfast, lunch, and everything sweet for those between meal cravings. 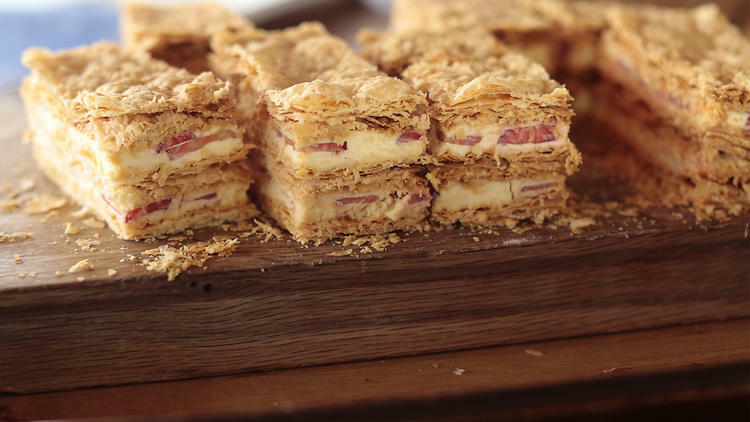 We bake scrumptious treats fresh each morning using wholesome and local ingredients. Take out a box or pull up a chair. If you get frosting on your nose, we’ll let you know. Promise. Cod and New England. We deliver! Free from: Peanuts, Tree Nuts. Can handle other allergy-free requests. of delicious creations including breads, donuts, and cookies. Check them out! With three locations, The Bake Station offers a variety of baked goods from cookies and cakes to pies and breads. Hearing the call for nut-free goods, they converted their facilities to peanut and tree nut-free almost 10 years ago and have been faithfully serving the community ever since. Free from: Peanuts, Tree Nuts, Dairy; sometimes Gluten. Kosher. Here at MFB, all baked goods – from cupcakes to brownies, muffins to cookies -everything is free of the top 8 most-common allergens: wheat, dairy, egg, soy, peanuts, tree nuts, fish and shellfish. MFB treats are also free of corn, sesame, xanthan and guar gums. Not only that, but all MFB sweets and treats are fresh and made-to-order. Free from: Wheat (gluten), Dairy, Eggs, Soy, Peanuts, Tree Nuts, Fish, Shellfish, Corn, Sesame, Xanthan and Guar gums. Donuts are our specialty! We make our donuts fresh on-site every morning and offer a variety of delicious options. Our most popular donuts have been the maple glazed donuts topped with a strip of 100% applewood smoked bacon, and our apple fritters. Made from scratch custom cakes, cupcakes, pies, cheesecakes, cookies, muffins, scones and more. Gluten-free and allergen-free is available upon request. Free from: gluten-free, allergen-free, vegan upon request. We are known for delicious, beautiful pastries for both traditional and alternative diets. Our sweets are perfect for everyday celebrations, and for all of your special events, including birthdays, weddings, baby showers, bridal showers. Free from: some gluten, some dairy; vegan. Serving fresh-baked cakes, cupcakes, and cookies, this bakery began creating treats inspired by the owner’s son’s food allergies. This Top 8 Allergy-Free cafe bakes a variety of customizable special treats for those with food allergies and dietary restrictions. Plus, they ship nationwide! This gourmet cupcake bakery is 100% peanut and tree nut free and everything is baked on premises daily. What a great treat while enjoying life at the shore! Gourmet Rice Krispie treats. All Treats are certified Kosher Dairy; and unless specified otherwise, are gluten-free, dairy-free, and nut-free. Our Homemade Marshmallows are made using raw cane sugar — never corn syrup. Breakfast bars contain brown rice, oats, flax, dried fruits, and seeds (some contain nuts – which are properly labelled). We have partnered with The Leukemia & Lymphoma Society, which is an incredible organization that supports patients and their families with blood cancer, but also provides funding to develop lifesaving cures. Free from: Dairy, Gluten. Some: Peanuts, Tree Nuts. *Read labels; some nut products sold. Some dairy toppings. Specializes in recreating delectable, melt-in-your-mouth desserts and baked treats that have no ingredients that are potential allergens. Free from: Certified free from Gluten, Dairy, Peanuts, Tree Nuts, Legumes, Fish, Crustaceans, Pea Protein. Certified to handle Soy free and Vegan/Egg free; Kosher. Offering gluten-free and dairy-free goods, By The Way is an old-fashioned bakery making everything by hand, from scratch in small batches. They make cookies, rugelach, tea cakes, muffins, layer cakes, challah and more. Locations in Westchester and Manhattan. Free from: Gluten, Dairy. Kosher, Pareve. 100% Kosher and delicious, BagelTown serves bagels, pastries, sandwiches and soup to local customers. 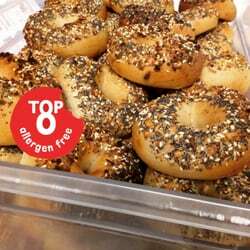 All of their bagels are not only nut-free but also sesame seed-free. A big plus! Free from: Peanuts, Tree Nuts, Sesame Seeds and Lactose. Kosher. As Long Island’s first gluten-free and nut-free bakery and cafe, they proudly serve delicious food that fits your dietary needs. We’re a family owned and operated NUT FREE Bakery that specializes in philly style soft pretzels, platters, and more! We have literally put a new twist on an old favorite. Our cakes are made to order so we can cater to any flavor combinations and design request. All of our Wedding Cakes, Celebration Cakes, Cupcakes, Individual Mini Cakes, Cookies and Pastries are made from the highest quality ingredients and for most dietary requirements (including Sugar Free, Low Sugar, Gluten Free, Vegan and a variety of allergies). peanut free, lactose free, dairy free, tree nut free baked goods in-house from the finest ingredients. We offer homemade, small batch ice cream in a nut-free facility offering gluten-free and dairy free options. As fathers, the founders understood the severity of nut allergies. To create desserts accessible for children to enjoy in schools, Baked Cravings have dedicated themselves to build and maintain a nut-free facility. Using only the highest quality ingredients sourced from nut-free vendors, following strict packing processes and conducting regular tests to provide pastries for children to enjoy and parents to trust. Blossom Bakery is a vegan, organic, and kosher bakery specializing in our own unique creations as well as American and European classics. 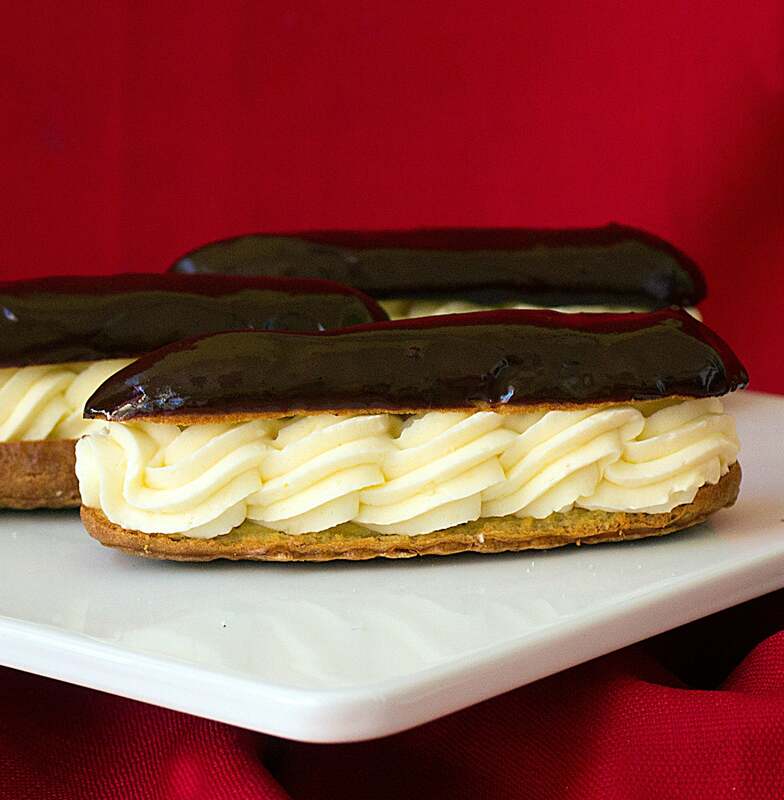 Even though many pastry chefs have dismissed the idea, our founder relishes the opportunity to showcase an impressive vegan spin on familiar recipes without using butter, milk, or eggs. Our sweets speak volumes and what they say is: YUMMY!Free from: Dairy, Eggs. Kosher. Some coconut-free and soy-free frosting available. Everything in this old school bakery is made from scratch. From cookies, rugelach, muffins, scones, to tea cakes or custom orders, it’s all gluten and dairy-free. With three locations: two in NYC and one in Westchester. Free from: Gluten, Dairy. Kosher/Pareve. 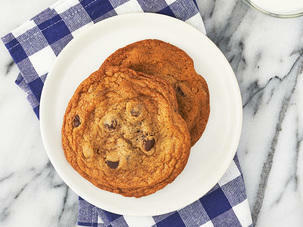 http://www.clementinebakery.com/#homeAll of our baked goods are dairy-free and made with all-natural, organic ingredients. We avoid using soy whenever possible. And we are very gluten-free conscious when we are making your tasty gluten-free treats. Free from: Dairy. Some soy, gluten. http://www.dunwelldoughnuts.com/index.htmlOur Mission is to be the premiere vegan doughnut shop on planet Earth and reverently carry on the tradition of doughnut making in a manner that is both innovative and ethical. Dun-Well Donuts is a completely vegan doughnut shop, baking over 200 different kinds of doughnuts twice a day. All of Eleni’s products are made in their own peanut and tree nut free dedicated facility. They offer signature “playfully unique” cookies, cupcakes and artisanal candies at their retail store, which vary from season to season, as well as a multitude of adorable products online. Free from: Peanuts and tree nuts. Kosher. Everybody Eats, Inc is a 100% gluten-free and nut free bakery that specializes in breads, cakes, sticky buns, buns and pizza shells. Free from: Gluten, Dairy, Soy, Peanut, Refined Sugar. http://treathouse.com/Gourmet Rice Krispie treats. All Treats are certified Kosher Dairy; and unless specified otherwise, are gluten-free, dairy-free, and nut-free. Our Homemade Marshmallows are made using raw cane sugar — never corn syrup. Breakfast bars contain brown rice, oats, flax, dried fruits, and seeds (some contain nuts – which are properly labelled). We have partnered with The Leukemia & Lymphoma Society, which is an incredible organization that supports patients and their families with blood cancer, but also provides funding to develop lifesaving cures. We make gluten-free cupcakes, cookies, muffins, paninis and much more. We also sell a variety of vegan baked goods.All products are made in a 100% gluten-free facility, using only tapioca flour, rice flour and potato starch instead of your typical wheat flour and also boasts baking without any hydrogenated oils or preservatives. Free from: Gluten. Some Dairy and Eggs. Whether it’s our out-of-this-world red velvet donuts or our black and white cookies which one magazine called, “the BEST” in the city, the Donut Pub has something for everyone. From old-fashioned classics like crullers and honey-dipped to modern favorites like donuts coated in coconut and sprinkles, the Donut Pub is a treasure trove of tasty treats. Calling themselves “Nut Aware”, they and their suppliers do not use any nuts. Official bakery of the Food Allergy Initiative luncheon. Delicious gourmet chocolate made by chocolate lovers themselves. Chocolate bars, confections, mixes and subscription packages available in factory and nationwide. Cherbourg Bakery is a dedicated Gluten and Nut Free Bakery in Columbus, Ohio. No wheat, nut or gluten products have ever been used in our kitchen. Our baked goods are made with minimally processed ingredients, from as many local resources as we can muster. To make things better is to make them simpler. “A coffee shop with a vision,” everything on the menu here is made without gluten and free of the top 8 food allergens. Free from: Gluten, Dairy, Eggs, Tree Nuts, Peanuts, Soy, Corn, Shellfish, Fish. Nut Free Sweets is a peanut free bakery and tree nut free bakery in Columbus, Ohio committed to making all of our products 100% safe for people with nut allergies. That’s why we run a nut free “dedicated bakery” out of our home. What does that mean? It means that no peanuts, no tree nuts, no nuts of any kind EVER enter our doors. With an inspiring story, Sweet Megan Baking Company creates Top 8-free creations that are available both in their bakery, online and in retails stores. Owner is involved with Austism Cares Foundation and proceeds to benefit The Dream Foundation. Free from: Gluten, Dairy, Eggs, Soy, Peanuts, Tree Nuts. Brandon’s Best products were invented, and produced, because Brandon himself suffers from life-threatening food allergies. Brandon’s donuts, pizza crust, and crumb cakes were are allergen-free and vegan. Free from: Top 8 – Peanuts, Tree Nuts, Dairy, Eggs, Gluten, Shellfish, Fish, and Soy; Vegan. Available online and at select Whole Foods and Shop Rites in PA, NJ, NY, CT, MD, VA, OH, IL, SC, TN, FL, ID and KY, these bagels come in every flavor and are free of the top 8 allergens plus GMOs. Sweet Freedom is here to serve as a safe haven to children and adults alike who have been deprived of the simple pleasure of eating a freshly baked goodie. Not only are our products vegan (dairy-free, casein-free, egg-free) and gluten-free, but we avoid the use of corn, wheat, peanuts, and soy as well. The only sweeteners we will ever use are the most natural and unrefined of sugars that are gentler on your body. Making everything from biscotti to brownies, candy to cakes, pasta to pastries, A&J Bakery makes everything in a dedicated nut and gluten-free facility. They also have products that are additionally dairy, egg, soy and sesame seed-free. Check out their nut and gluten-free gingerbread houses! We believe any event Big or Small should be celebrated with cake! Not just any cake but a uniquely designed, freshly baked custom cake at an affordable price. We can accommodate any theme and any occasion. We are Peanut/Tree Nut free… just because you have a nut allergy doesn’t mean you can’t have the cake you want and eat it too. Keeping an awareness of all of the top 8 food allergens, Better Bites strive to provide treats that everyone can eat. Those with food allergies, sensitivities, or just the ingredient conscious can eat their treats that are fun, tasty foods. Avoiding artificial colors and preservatives, they use mostly organic, minimally processed products. Free from: Dairy, Eggs, Wheat, Soy, Peanuts, Tree Nuts. Vegan, Kosher and Non-GMO. Serving up Austin’s best vegan sweet treats since 2011. All baked goods are baked fresh daily including cakes, cupcakes, “heavenly” cinnamon rolls and more. Organic dessert cafe with the goal of providing the Austin, Texas community with better options by providing carefully sourced, socially responsible organic and fair trade coffee and desserts. The current incarnation of Captain Quackenbushes Intergalactic Dessert Company and Espresso Cafe, Quack’s has vegan options, like its Double Chocolate Muffin, Trail Mix Cookie and Raspberry Oat Square, which put those packaged oat bars to shame. Lucky for us, Quack’s also keeps a spreadsheet of what allergens are present in all of its baked goods and will gladly help you find a treat that fits your allergy restrictions and lifestyle. A restaurant, Wild Wood is 100% gluten-free, making it a great stop for those with celiac disease and wheat allergies. With gluten-free foccacia, French and sourdough bread, as well as sweets like cupcakes and muffins, Wild Wood Bakehouse is a must-visit. Using all-natural ingredients, Zucchini Kill serves treats that are free of gluten, soy and animal products. Their FAQ page clearly outlines a variety of allergen-free products and their enthusiasm for baking allergen-free is contagious. This bakery is known for its delicious cupcakes, but rave reviews come in for “killer” Twinkies as well as cookie cakes. Free from: Gluten, Soy, Dye, Honey, Dyes, Animal Products; Vegan. Although the information is not present on their website, I’ve read that their products are made in a nut-free facility. Worth a call!! Making everything from cookies and croissants to scones and sandwiches, Little Rae’s does it all nut-free. In 2008, we eliminated all peanuts and tree nuts from Little Rae’s products and became a Nut-Free facility. We did this to provide a safe option for those with nut allergies who often have to go without baked goods. Little Rae’s is an order-only establishment at the moment with products in various stores around Seattle. 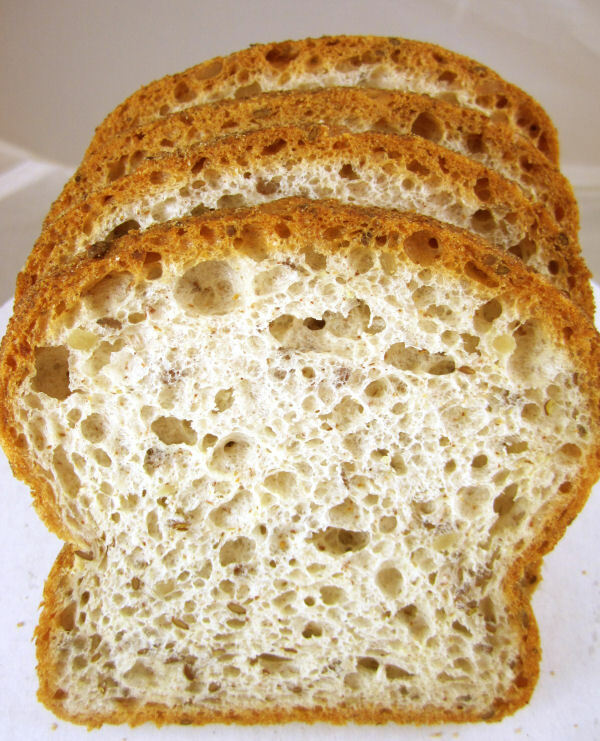 We are a dedicated gluten free allergen safe bakery located in South Surrey, BC. We are an award-winning maker of delicious artisan breads, cakes, desserts and so much more. We offer home and office delivery all over the Lower Mainland and Fraser Valley. Free from: Gluten, Wheat, Peanut, Tree Nuts, Dairy, Soy; sometimes Egg. 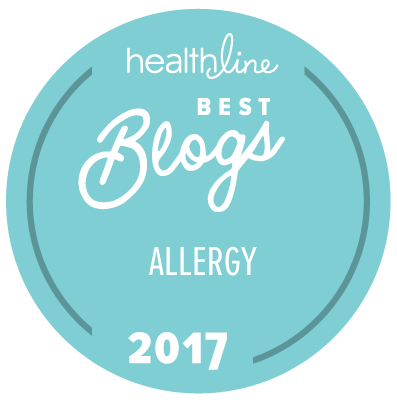 Amazing Donuts is proudly recognized as the first tree-nut, nut and sesame seed free establishment by the Anaphylaxis Network and is certified Kosher. All products are freshly baked and prepared on-site. Specializing in light and fluffy donuts, cakes, challah and breads, cupcakes, low-fat muffins, cookies, and other desserts. Free from: Tree Nuts, Peanuts, and Sesame Seeds. Kosher and Pareve. Cakes by Robert can customize cakes, cookies, tarts, and cupcakes from simple to complex. Our facility is completely Peanut and Tree nut free. Cakes can be specially ordered to be made without eggs and without dairy. The Cake Pop Store has baked fresh , Nut-Free Cake Pops in Toronto since 2011. Cuter than a cupcake, our Cake Pops are custom little cake balls on a stick. Easy Sweets Baked Goods is Toronto’s leading destination for Nut Free, Gluten Free and Kosher baked goods. Free from: Peanuts, Tree Nuts, Gluten. Kosher. Grodzinski isn’t just a bakery. We have vegetarian sandwiches and meat sandwiches, and all in a wide variety of breads, challah, buns and wraps. But that’s not all, Grodzinski does catering as well. We have freshly made soups, salads and dips. We use only fresh, natural ingredients, with no artificial preservatives. And now Grodzinski is Nut Free! Hermes Bakery’s success lies in the high quality of our products, based on old, authentic European, mouth watering recipes. These recipes have been handed down to the third generation now operating Hermes Bakery. We never use any premixes to cheapen our costs. All of our products are made totally in house from beginning to end; even our fillings and creams are produced in house! Try our mouth watering pastries, delectable desserts and gorgeous petit fours and tortes for your sweet tables. Free from: Peanuts, Tree Nuts (*except their Passover products*), some Dairy. Kosher and pareve. Isaac’s Bakery is a Peanut and Tree Nut free bakery in Toronto, specializing in scrumptious danishes and meringue pies, among other pastries. Free from: Peanuts, Tree Nuts. Kosher and pareve. Lollicakes, located in Toronto, specializes in delicious cupcakes with a custom designed Belgian Chocolate Lollipop on top! Kosher, Peanut & Tree Nut Free. Free from: Peanuts, Tree Nuts. Kosher. Gluten-free bakery specializing in breads, cakes, cookies and other sweet desserts. Free from: Gluten. Kosher and pareve. Tori’s Bakeshop is an eco-friendly, all-natural organic bakery that offers dairy-free, egg-free, casein-free and refined sugar-free treats of all sorts! We also carry a scrumptious selection of gluten free products. Free from: Dairy, Egg, Dairy, Sugar, some Gluten. Our dedicated gluten free bakery and café is completely free from gluten. Everything is made by us, from scratch including our pastry, bread and cakes, in our dedicated gluten free kitchen. Gluten-free cafe and bakery, serving delicious breads, pastries, sandwiches, superfood salads and afternoon treats. After a coeliac diagnosis, the owner shifted careers to begin baking homemade cakes, biscuits, and pastries that are free from gluten and dairy. Buy at Selfridges, online or call for delivery. Providing a tasty range of Sugar Free artisan cakes, pastries, quiches and breads, including Gluten Free and Dairy Free options. *Produced in an environment with nuts and eggs. We bake with simple, fresh ingredients like cage-free eggs, non-GMO Project Verified flour and sugar and rich Madagascar vanilla. All of their products are all peanut and tree nut-free. With a unique mission to offer skills training to individuals with developmental and cognitive disabilities, Sunflower Bakery makes dairy-free treats for customers in the metro-DC area. The bake everything from cookies and mandel bread to macaroons and cupcakes. Free from: Dairy, Peanuts, sometimes Gluten. Kosher. Debbie’s son was born with multiple food allergies. Without any ambitions of Food Network stardom, Debbie was inspired to become her son’s allergen-free Iron Chef as well as create a bakery so that children like her son, as well as those with diabetes, celiac disease and autism, could safely enjoy mouth-watering and nutritious desserts. Free from: Dairy, Eggs, Gluten, Sugar; Vegan. Underscores Baked Goods offers high-grade, low-cost, unique, and attractive fresh baked options for gluten free, vegan, allergy conscious, and health inclined consumers keen on quality and indulgence. It is the worry-free bakery of choice, backed by our exclusive use of organic, vegan, fair-trade, non-GMO, and wholesome ingredients free of the big 8 allergens and more. Free from: Dairy, Eggs, Wheat/Gluten, Soy, Peanuts, Tree Nuts, Fish, Shellfish; Vegan, non-GMO. Having been diagnosed with celiac disease, the owner began developing gluten-free versions of all the cakes, pastries and bread products she missed. Bakery is also peanut-free, but not tree nut-free. Free from: Gluten, Peanuts, some Dairy. Kosher. I own Stacy’s Gluten Free Goodies in Tampa, FL! 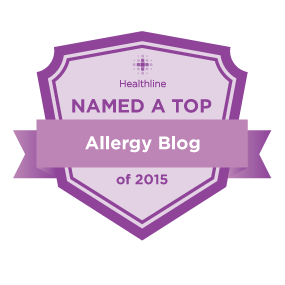 We are completely top 8 allergen free! I started the business because of my son’s multiple food allergies. Please check us out. Thanks for the important information, Erin! You make life so much easier for us!! One of my favorites in NYC: The Donut Pub. Nut-free donuts, muffins, cookies, etc. Keep the good suggestions coming! I know NY has way more than I have listed. I’m from NY originally, so we’re up all the time visiting – adding them all to my list to taste test!!. Eat’n Park & Smileycookie.com have an online nut free bakery where you can buy individually wrapped sugar cookies in bulk! baked cravings located in NYC has in-store and online products that ship nationally. Of course!! Thank you. Adding to the list! In Toronto there is a bakery called Bunner’s that is vegan and gluten free. They also don’t use nuts! Ooo, great! Thanks for letting me know. I’ll add them to the list this week! This place new and is amazing!